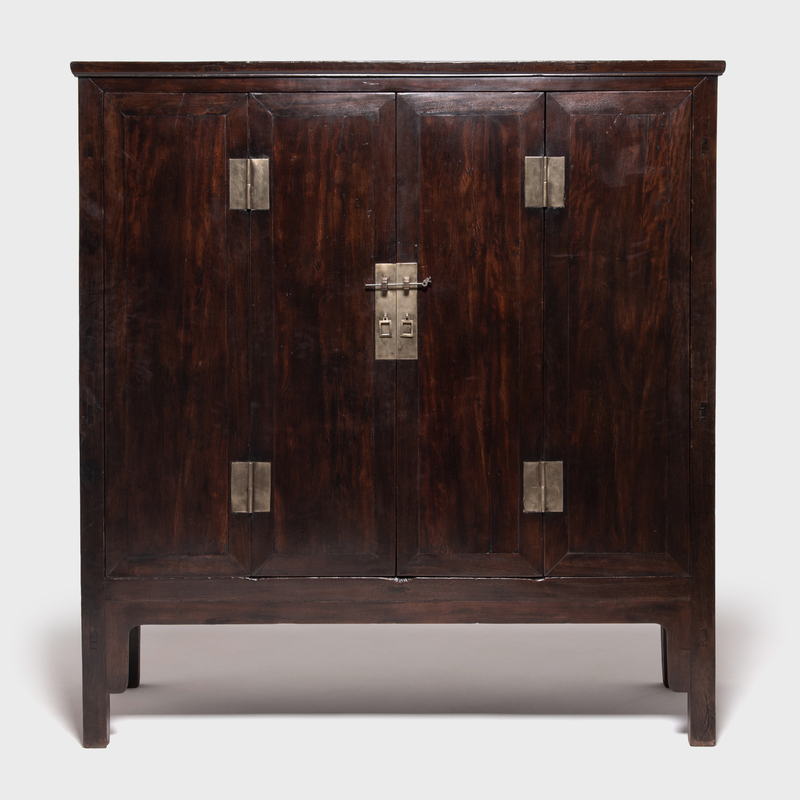 W: 43.25" D: 21.0" H: 79.0"
This is an exquisite example of a 17th-century square corner cabinet, constructed with masterful mortise and tenon joinery. 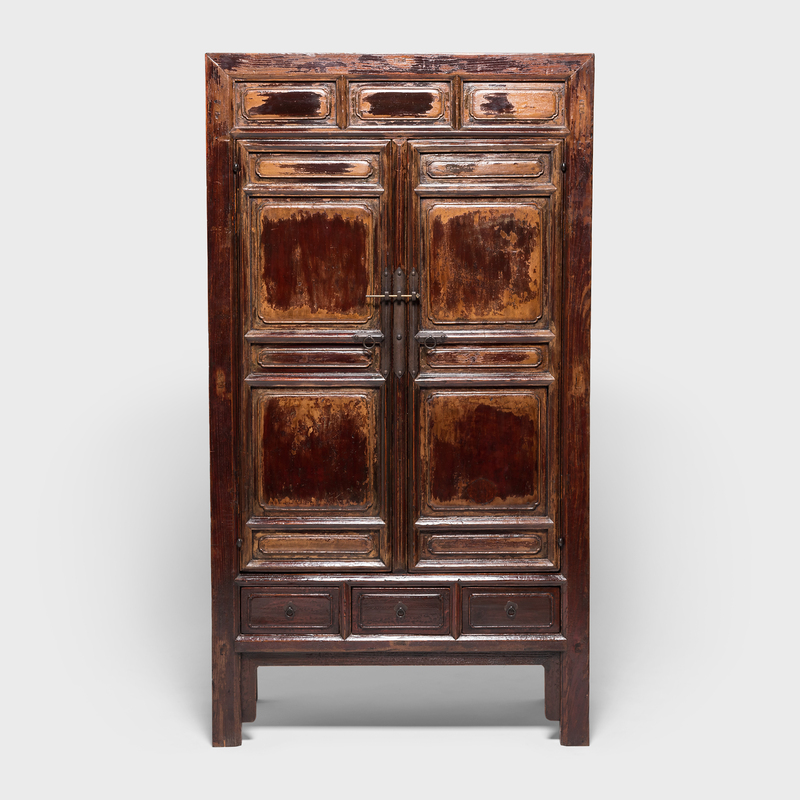 It features two paneled doors attached with small barrel hinges, a reference to traditional cabinets designs from thousands of years prior. 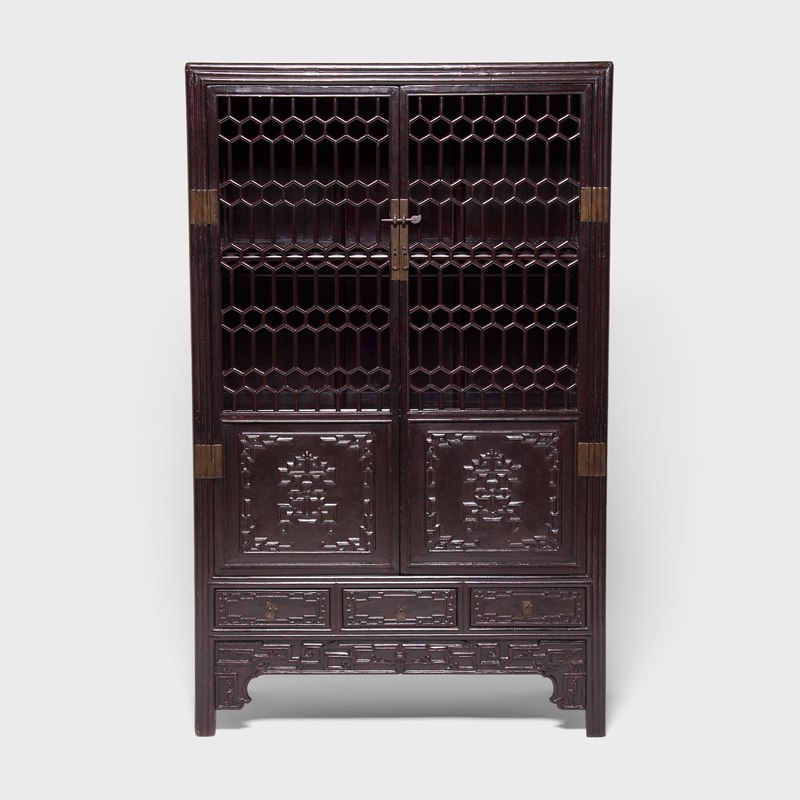 The removable center rod between the doors is intended as a firm point to attach a lock, keeping doors neatly shut and the contents secure. 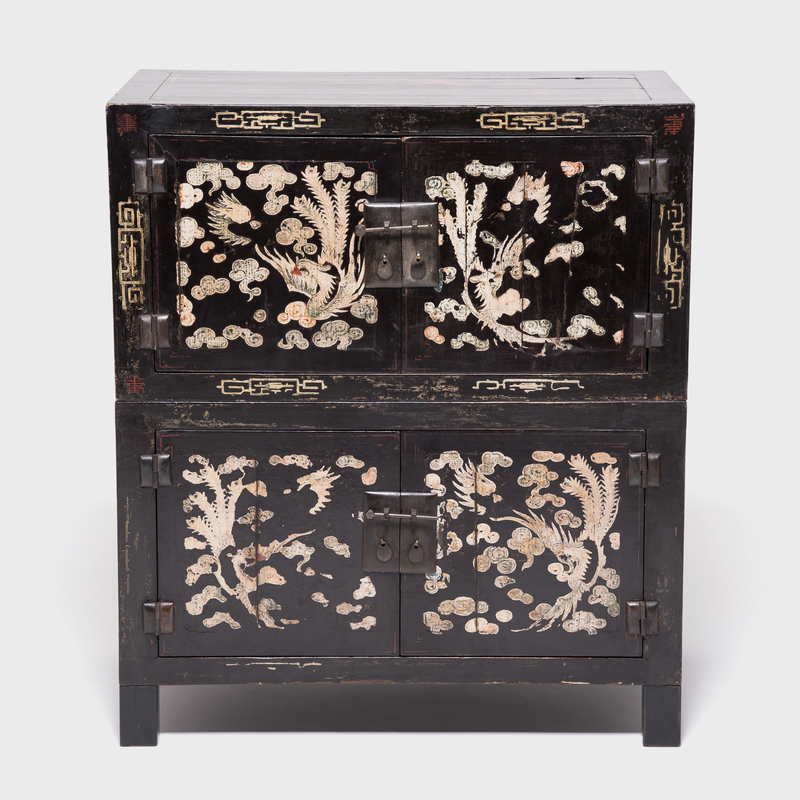 Notably, this fine cabinet was originally lacquered not only on the exterior, but on the interior as well. 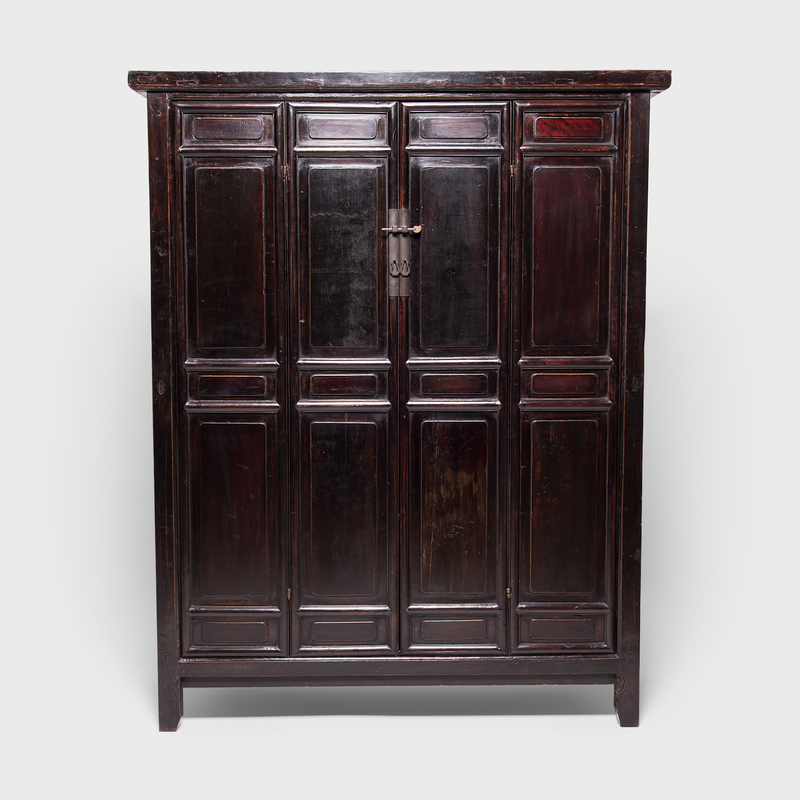 The lacquer finish has aged beautifully, with a wondrous patina and rich character.